Pumpkins are everybody’s favorite! They just scream Fall! Check out these 9 Uses for Mini Pumpkins to squeeze even more pumpkin into your life while the season lasts! Mini pumpkins are adorable, and they are also in abundance during the Fall season. For as little as a quarter each, you can buy mini pumpkins for all of your decorating needs. So what are some fun uses for mini pumpkins? You have so many options. 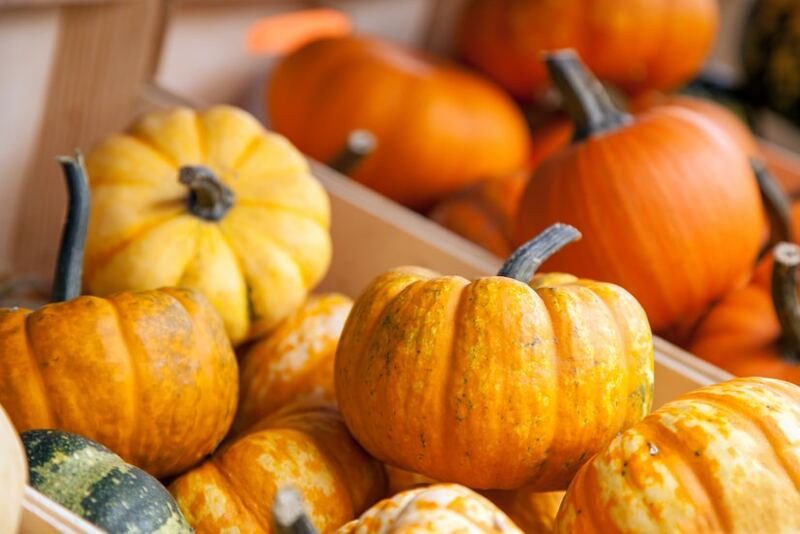 Take a look below at these 9 uses for mini pumpkins, so you can put these frugal fall gourds to work in your space. 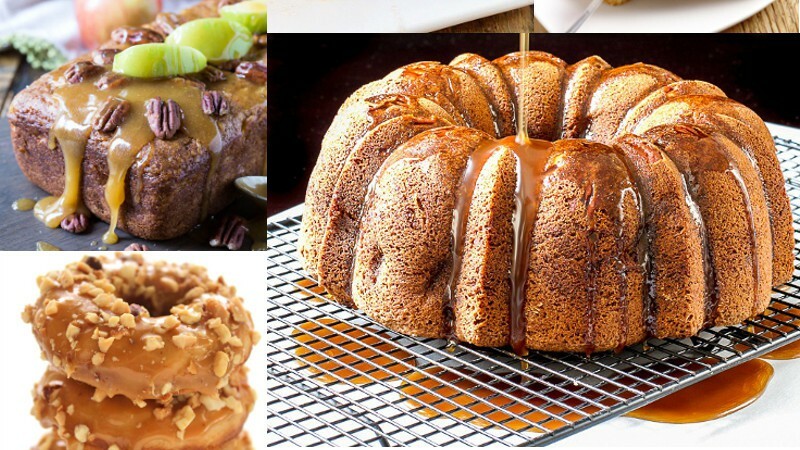 How do you use mini pumpkins every year? Tell me in the comments! 1. They make the perfect bowl filler. Mini pumpkins look amazing in bulk. Take a group of them and display them in a simple wooden bowl or clear bowl. It makes for a nice centerpiece and one that is budget friendly. You can pick all orange pumpkins, or mix it up with various colors such as orange and white. 2. Turn them into a tea light holder. Take a knife and cut out a hole in the top center of the pumpkin where the stem is. Clean the space out with a spoon until it is the size of a tea light. Press the tea light into the space and you have the perfect fall table decor. 3. Make simple place markers. Mini pumpkins are perfect for marking places at your next dinner party. You can write the guest’s name directly on the pumpkin, or you can attach a name card to it with twine. It is a frugal way to mark the space while adding color to the table as well. Plus when guests leave, they can take their pumpkin with them. 4. Let kids take markers to them. 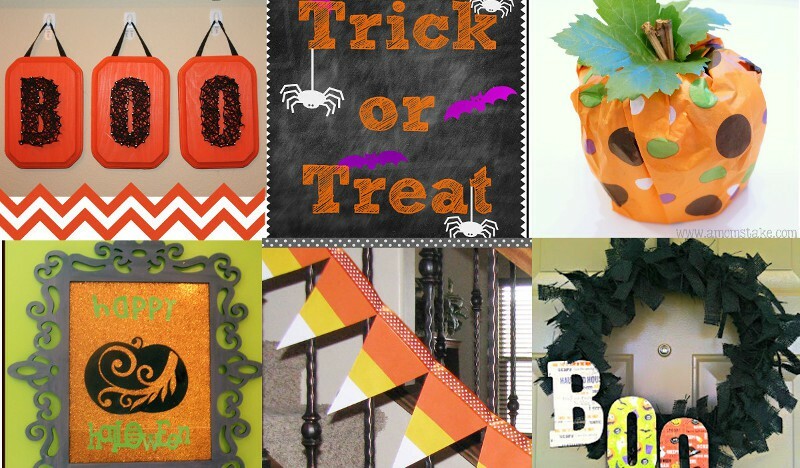 Mini pumpkins are perfect for small kids to decorate. Give them some markers or stickers (or both) and let them start decorating. The small size of the pumpkins make them perfect for little hands to manipulate and get creative with. 5. Play tic tac toe. Play a fall themed game of tic-tac-toe in the yard with 5 mini orange pumpkins, 5 mini white pumpkins, ans some sidewalk chalk. Make a grid with chalk. Then, use your colored pumpkins as the x’s and o’s. 6. 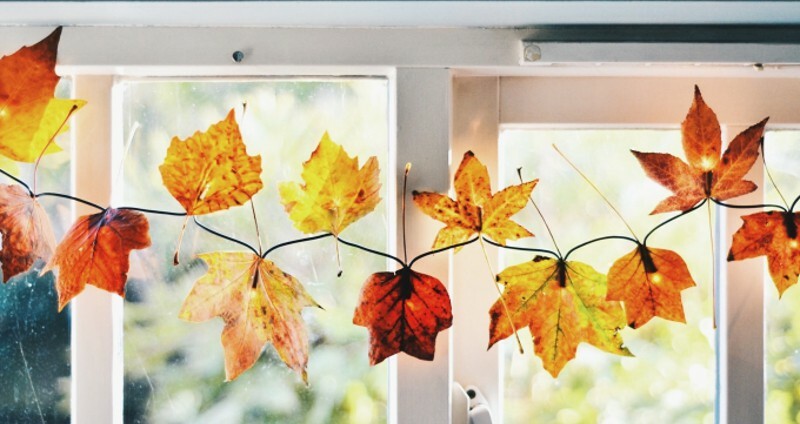 Add Fall to even the smallest of spaces. Mini pumpkins are perfect for adding a touch of Fall to even the smallest of spaces. They are perfect for offices, desks, bathrooms, window sills, or other small spaces. 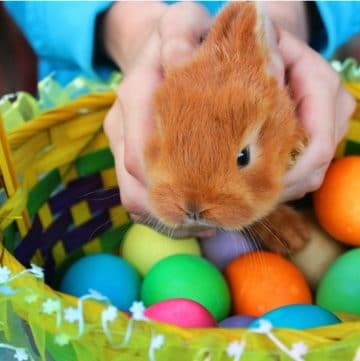 You can even nestle them into plants, if you wish. 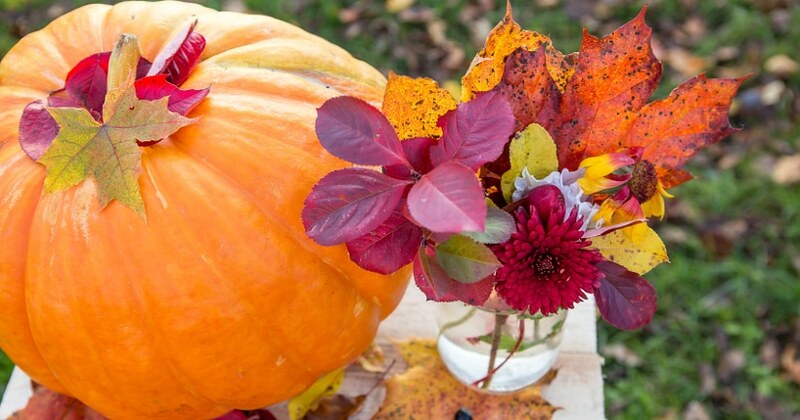 Wherever you add a mini pumpkin, it will feel like Fall and add some color to the space. 7. Give the squirrels a treat. When you are done with using the mini pumpkins as decor, they make an amazing snack for squirrels. 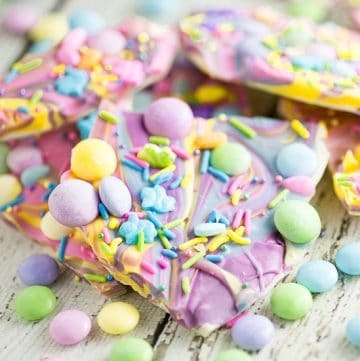 Simply cut them into chunks and toss them outside and the animals will find them in no time. They are nutrient rich and tasty, so the animals will be so happy to find them. Way better than wasting them by tossing them in the garbage at the end of the season! 8. 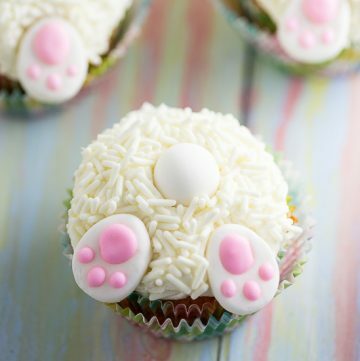 Make them into edible bowls. Did you know that the mini pumpkins are actually edible? 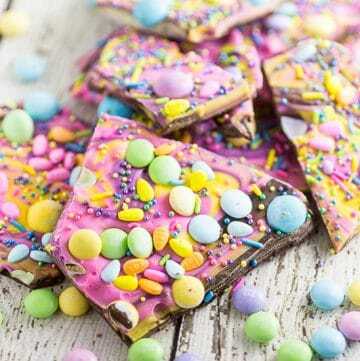 Yes, you can eat them. Which opens up a whole new world of foodie possibilities. Carve out the seeds in the middle then use it as a bowl for pumpkin cheesecake, pumpkin pie, or pumpkin pudding. You can even use these little guys for savory dishes like soups or baked eggs. How festive is that?! 9. Use them as photo props. Are you inspired to use mini pumpkins in your space? 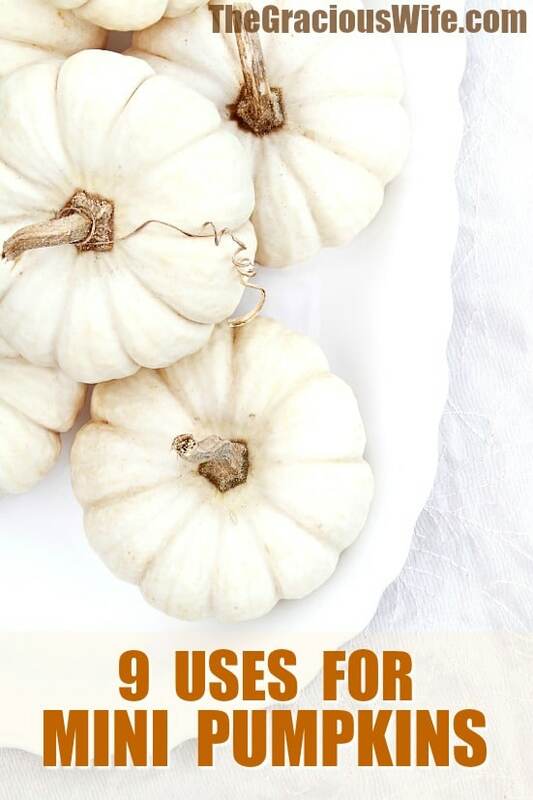 Give these 9 uses for mini pumpkins a try and see how they can get your life Fall-ready for just pennies a piece. Tell me your favorite way to use mini pumpkins in the comments! 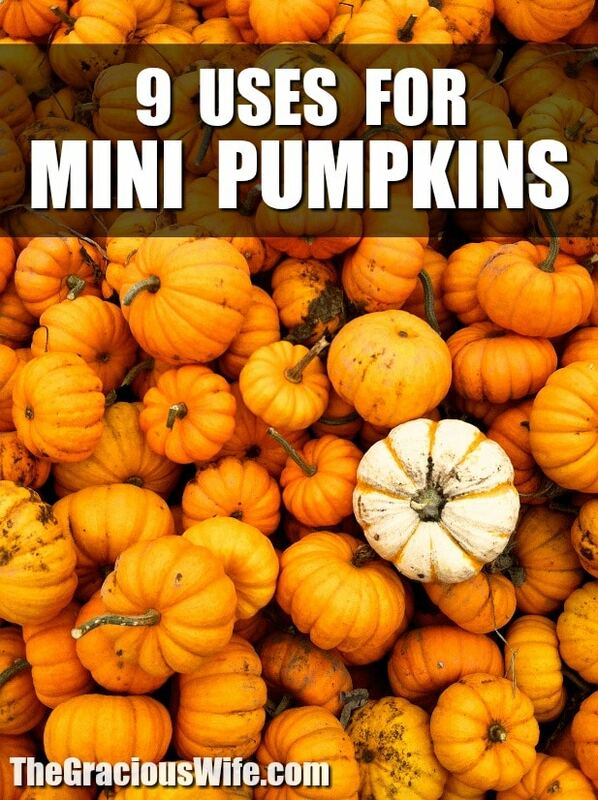 Did you like these 9 Uses for Mini Pumpkins? 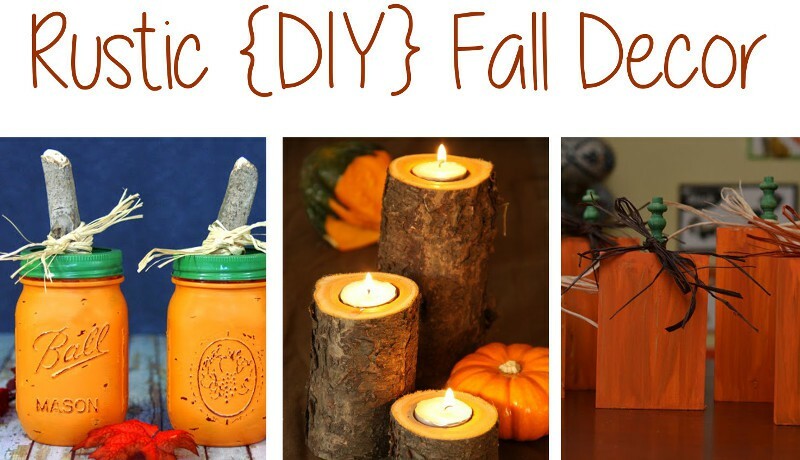 Find more on my Falling for Fall, Halloween, and DIY & Crafts boards on Pinterest!